Choosing Side Turkey for your vacations is indeed an amazing choice. A city that combines relaxation, adventure, activities and history is all you need to transform your time into an exquisite memorable experience. 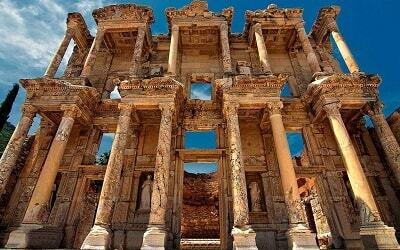 As one of Turkey’s most famous classical sites, the city has a lot of ancient points of interest, sandy beaches, amazing hotels, restaurants and bars. In case you wish to escape from the ordinary tourist activities, Side offers plenty of options for things to do. 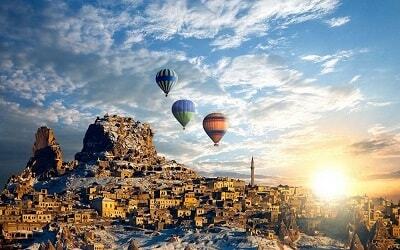 One thing is to taken for granted; you will never feel a doubt moment for your vacations in Side Turkey. Side is often characterized as an open-air museum. Well, this is absolutely true since the city has an incredible variety of Ancient Ruins to showcase. Their charm and history constitute these Ancient ruins as a must thing to see when in Side. Visit the Pamphylian city and walk around the amphitheatre, feel the spirit of the ancient agora and observe the ruins of a Temple that was dedicated to a Roman Goddess. 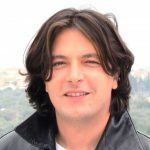 The list includes also the Ancient temples of Athena and Apollo that are great examples of ancient architectural design. Finally, Side’s archaeological museum has an amazing variety of exhibits. In fact, the museum is hosted in restored Roman baths, making it unique with value-added historical importance. In case you are interested in history but in an alternative way, visiting the ancient city of Seleucia will be the ideal option. Seleucia is not the average ancient city. In fact, it is one of a kind attraction due to its location and importance. Situated in the middle of a forest, the ruins indicate how important the city used to be during the Byzantine era. In such remote location, the ruins are spread in a large area enabling you to enjoy a walk around the ancient city and the nature. Considered being as one of the most important spots, in terms of natural beauty, the Manavgat Waterfall is an ideal location to spend your time away from the beach. The water flows through Taurus Mountains and creates a Waterfall known for its beauty. Crystal clear water surrounded by forest and the sounds of nature is what you should expect. In addition, you can take a boat tour in Manavgat River and spend few hours admiring the nature. Among the many things you can do when in Side, is of course to visit the three Canyons of the area. Koprulu Canyon National Park, Green Canyon as well as Sapadere Canyon are great examples of natural wonders. Escape from your ordinary tourist routine and take a chance to admire nature at its best. If you are feeling energetic and adventurous, several activities are available for you, like rafting and river boat trips. 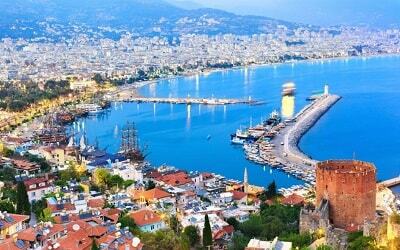 Despite the variety of things you can do in Side, a day trip to Antalya it can also be an option, given the short distance between them. 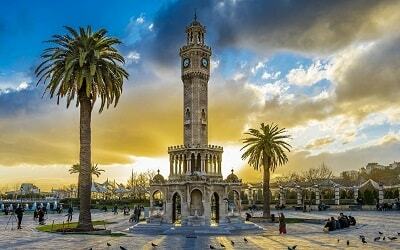 Don’t miss the opportunity to visit one of Turkey’s famous destinations in the Mediterranean Sea. Constituting the 5th biggest city of the country, Antalya offers plenty of options for activities including historical sites and unique landscapes. In Antalya you will be also able to visit one of the world’s biggest aquariums and enjoy a cable car ride with amazing panoramic views over the Mediterranean. Finally, Antalya offers to visitors great opportunities to familiarize themselves with the culture. The Fire of Anatolia Dance Show is a one of kind experience, when you can see traditional dancing, listen to local music and observe folklore uniforms that illustrate the history and culture of the area. Don’t miss out Daily Tours organized from Side.